A versatile perennial that is now beginning to bloom is the columbine. A columbine blossom has five petals with a tubular base and flower colors of pink, white, yellow, red, blue, maroon, or purple. It does best when it receives a few hours of shade each day, but it will do well in full sun as long as the soil is moist. Its bloom period lasts until late spring. A second bloom may occur if the first flowers of the season are deadheaded when they have completed their bloom. The seed capsules of columbine are quite attractive. This perennial will readily reseed in the garden. This is welcome, as columbine is a relatively short lived perennial, lasting approximately 3 to 4 years. New seedlings can be moved and planted in different sites or you can simply enjoy the many unexpected places where you will find this seed sprouting. The most common pest of this perennial are leaf miners, the larvae of a small brown fly. Leaf miner damage will cause the foliage to be light colored with fine-lined markings that wind throughout the leaf. It is quite unsightly, and if infestation is not too severe, the leaves can be removed and destroyed. If leaf miner damage is severe, the plant can be cut to the ground. New growth may emerge in a few weeks or the plant may simply stay dormant until the following spring. Columbine adapts well in many garden settings. It is a favorite of the hummingbird as its flower design easily holds the nectar for the birds to feed. It also provides wonderful color to the spring garden. On another note, I would like to address a few questions that readers have had concerning tulips. It has been a great year for tulips as they like the cool spring weather which prolongs their bloom period. As your tulips finish blooming, remember to snap off the seed heads. This will prevent the bulb from directing its energy toward seed production. Do not remove the leaves until they have turned yellow. This may take four weeks, but during this time the dying leaves are feeding the bulb for next year’s flower. If you received a potted tulip plant and wish to try growing the bulbs in your garden, it may take two to three years for a bloom to appear. The potted bulbs should be treated the same as existing garden bulbs. The potted plant should continue to be watered until the leaves turn yellow. Then withhold water and cut the leaves back. The entire pot should be put in a cool dark place until August. At that time the bulbs should be separated and planted outdoors. Be sure to add some bulb food or bone meal to the planting site. 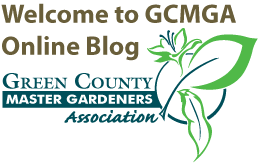 If you have any gardening questions, don’t hesitate to call the Green County U.W. Extension at 328-9440. 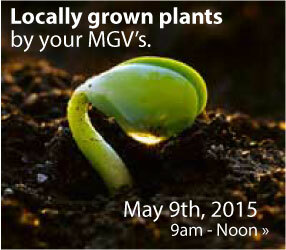 There are many Master Gardener Volunteers that will be able to assist you.